In our Milwaukee climate, custom sheet metal is particularly beneficial because of its ability to easily shed ice and snow. In the summer months, custom sheet metal also excels in reflecting the sun’s rays, ensuring your home stays cool and conserves valuable energy. Combine those benefits with the long lifespan of custom sheet metal, and you have an investment that truly pays for itself. 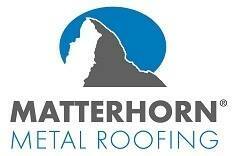 We’re also proud to offer metal roofs fabricated by our trusted partner, Matterhorn Metal Roofing. Matterhorn metal roofs offer major energy savings and superior performance. Best of all, all Matterhorn metal roofs can be custom-fabricated to suit any style, aesthetic or budget. Interested in a metal roof, or any other kind of roofing material? Our expert roofing technicians are available to give you a free estimate, as well as answer any questions or concerns you may have. Give us a call at 414-332-1139 or fill out our contact form today to schedule your free visit!